Posted by Katy Foley on September 24, 2018 at 10:38 AM. Filed under LED Lighting, How To . From the street corner when neighbors drive by to the pathway up to your front door, you want to consider the viewpoint of your space when you install your landscape lights. Do: Draw the eye to the effect not the fixture. Don't: Forget the basics. Lighting your entry and walkway is a good place to start as they get the most traffic. Do: Consider what direction your home faces. Use the way the sun sets and the moon rises by your home to your advantage. Don't: Forget security. Make sure you highlight areas for home safety such as windows and porches. Making sure you notice the perspectives of your home's visitors will help pinpoint key areas to illuminate within your landscape lighting. Bypass fixtures that divert your attention away from the lighting itself and focus on the direction and the effect the lighting casts to cover all traffic areas and pivotal viewpoints. How far apart should you put your landscape lights? Recognizing the distance that you should have your lights between each other and also between what you are trying to highlight is crucial to landscape lighting success. Do: Space out your lights so you have a nice balance over the entirety of your outdoor area instead of cramming them together in one space. Don't: Put your lights too close together. This can be blinding in one area and take away from what you are trying to highlight. Do: Consider the size of your accents. Whether it be architectural features of the house, an elegant fountain in the yard or beautiful spring flowerbeds, considering how large of accent you are wanting to highlight will help determine how you arrange your lights. Don't: Put your lights too close to the exterior of your home, the base of your plants or yard décor. Placing distance between them allows a greater area of light to be cast. Creating an appropriate range between your lights and your home accents establishes a better framework for your landscape lighting. Acknowledge the distance you are trying to cover outside your home and the size of your accents you wish to highlight so you can take your outdoor lighting to new heights and measures- literally. Adding depth in design to your outdoor lighting will avoid only scratching the surface level of your landscape. Here are a few easy solutions to adding layers in your landscape lighting for a dimensional design full of character. Do: Vary intensity of lighting. Don't: Add too many accent lights. Do: Switch the angles of your lights for mixed directional lighting. Don't: Put too much distance, resulting in a "black hole" gap. High intensity lights with large lumen amounts for full brightness are great for making accent pieces pop, whether that be large trees or unique statues. Medium intensity lighting is great for sitting areas and pathways so you have enough light to see and entertain in. 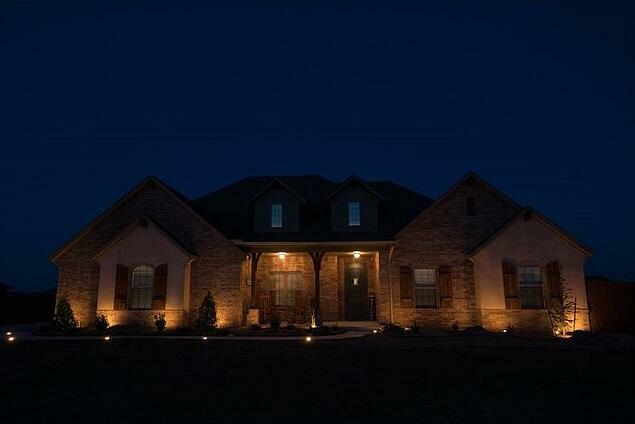 Low intensity lights can be used in all other areas to tie your outdoor lighting together. Try a mixture of different outdoor lighting options and brightness levels by adding security lights or café lights with your landscape lighting to get a diverse and varied design. Casting shadows through back-lighting, silhouetting and changing directions with up-lighting and down-lighting will add depth to your outdoor landscape so no area in your space is ever left looking empty or flat. Understanding these essentials and applying them when you go to setup your landscape lighting will help save you time and avoid a lackluster design. 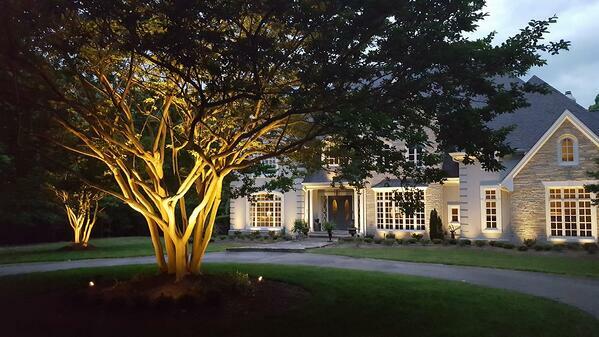 These techniques paired with the right choice in landscape lighting sets you up for success. 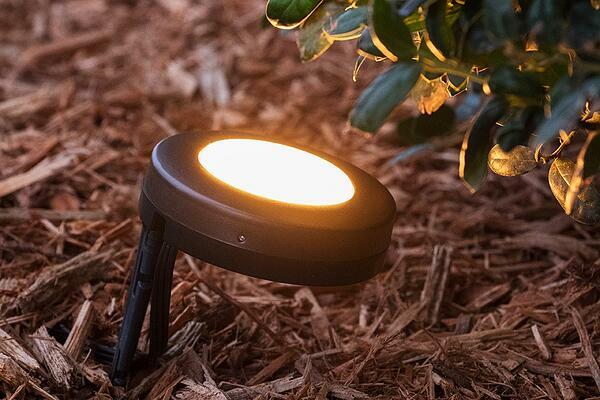 Enbrighten Landscape Lights have a puck design and multi-functional properties such as multiple mounting abilities and extended spacing lengths so you can project them and place them in whatever way you need to! The dimmability features, various lighting modes and color options and lifetime LED bulbs leave you equipped with a solution for all your needs inside one box for an easy setup that you can begin enjoying almost immediately.